Tell us about RightHand Robotics. 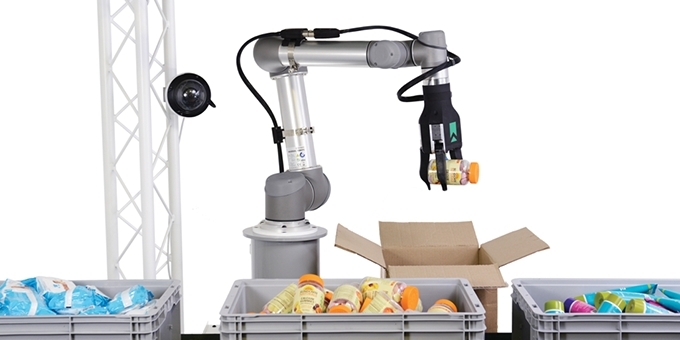 RightHand Robotics (RHR) is a leader in providing robotic piece-picking solutions that improve performance and efficiency in e-commerce order fulfillment and intralogistics. RightPick is a software-driven, hardware-enabled solution that handles the core task of picking and placing individual items as part of a wide range of workflows and processes​. With RightPick, businesses can reduce the cost of order fulfillment in electronics, apparel, grocery, pharmaceuticals, and many other industries. Unlike traditional factory robots that can be complex to set up and typically have one purpose, RHR’s solutions are adaptable and simple to integrate, providing predictable capacity for handling many tens of thousands of products, even ones it has not previously seen, presented in any sequence. The technology leverages RightPick.AI, a proprietary vision and machine-learning software suite, coupled with optimized smart grippers that provide feedback on grasp success and ensure pick accuracy. 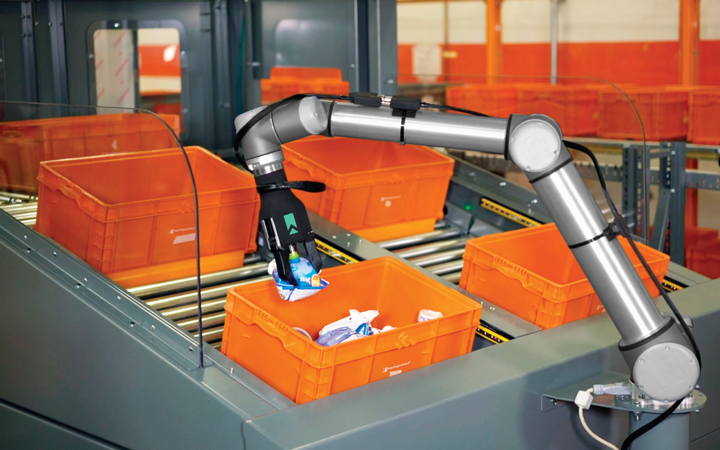 Integrated with off-the-shelf collaborative or industrial robot arms, RightPick workcells provide a complete picking solution for integration into many different customer workflows, such as sorting batch-picked items, picking items from an ASRS, inducting items to a belt sorter, kitting and order auditing. What are some of the differences with piece-picking compared to full-case or pallet picking operations? Also, what is driving the trend toward more piece flow in fulfillment? The biggest difference in piece-picking is the variety of items that need to be handled. Cases are boxes – size may vary, but they are still boxes. Pallets have standard types, so how they get picked up is consistent. We are on a mission to enable robots to manipulate the widest range of everyday items. Consumer expectations for on-demand retail options are fueling the change in mix toward pieces, or items. Investment in e-commerce infrastructure, omni-channel fulfillment, smaller format stores closer to consumers - these are some of the ways retailers are responding. And all of this means that there are more pieces getting handled upstream vs. traditional store replenishment flows. Where and in what types of workflows can piece-picking robots fit into to help automate fulfillment? Robotic piece-picking excels when combined with goods-to-picker workflows, although it’s not absolutely required. ASRS, for example, is a great use case. The system presents a source tote and the process is to pick and place to an outbound container. It’s simple and repetitive – perfect for automation. Other workflows where robotic piece-picking is effective include sorter induction, kitting and, increasingly, processes where mobile robots act as the means for moving totes to and from the robot picker. Recently we’ve seen interest in using robots to automate put walls in what are basically manual facilities, which is exciting as it opens up new opportunities. What is the biggest challenge of piece-picking in order fulfillment? When we go online to shop, we like to have the widest assortment of items available as possible. If a brick and mortar store carried 30,000 SKUs, the e-commerce operation may have 100,000 or more. We call this the Range of items. Designing a software-driven, hardware-enabled system that can pick any of 100,000, or even 500,000 items, not knowing which one might come next, or whether it showed up in the warehouse yesterday, is a big challenge. Of course, picking a wide range has to be done at high Rates and must be Reliable – both in the sense of successfully picking and placing the right item, but also as a system integrated into the warehouse environment. 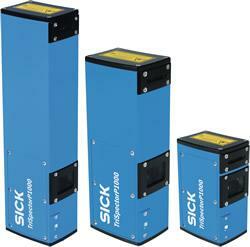 These are the 3Rs of robotic piece-picking – Range, Rate and Reliability. Some companies may be reluctant to embrace AI – why do you think that is? My computer overlord says I should not answer this. Seriously, like any technology, first system developers need to decide whether it’s the right tool for the job in the first place. We use AI and machine learning to help improve performance of our fleet based on previous successes and failures, but we try not to do massive computing for every pick. It takes too long and doesn’t guarantee success. I think AI in some fields may raise concerns, but in the sense of picking items in the warehouse, we are looking at very low level data – we don’t know who ordered what, for example – so there is no reason to be reluctant, as long as we can deliver the 3Rs. How can AI and machine learning be integrated into intralogistics - within the 4 walls of a DC or FC - in a beneficial way? We call our software RightPick.AI to emphasize the machine learning underlying our performance. As we pick millions and millions of items, the system learns better strategies for picking, regardless of orientation, for instance. With this type of data, the system will see edge cases that come up very infrequently and will become better at handling them over time. There are probably other aspects of the intralogistics process that could benefit from AI, but our focus is piece-picking. Will the supply chain and logistics industry be able to keep up with the growing demand from e-commerce and the omni-channel fulfillment trend? I believe so. There are many new tools available, coming from a broad range of suppliers to help address these challenges. I think it’s important for retailers to look at the challenges strategically as they make technology choices – in particular, making sure the elements work well together as a whole. For RightPick, we actively engage with many system integrators and suppliers to develop the ecosystem that will make it easy for robotic piece-picking to be part of the solution. Robotics still too expensive for piece-picking? You need arms, cameras, fast processor chips, plus smart grippers - how does it pay back for an ROI? Universal Robots recently announced that they are shipping their 25,000th collaborative arm robot. There are many manufacturers of industrial arms who have also shipped many thousands of units. Arms are plentiful, prices have come down and they are reliable. 3D/depth cameras and GPU (graphic processing units) are also improving rapidly and dropping in price – driven by gaming and autonomous vehicles. This is a virtuous cycle for building robotic piece-picking systems. Now, the gripper is something we have to design and develop ourselves, since grippers that reliably pick 100,000s of different items are not readily available. That said, we design for manufacture and scale so that we are ready. Even so, the gripper is a relatively small portion of the integrated system cost. The key takeaway is that even today, in the early stage of this robotic piece-picking revolution, we are providing ROI in less than two years and also offering novel robot-as-a-service plans to customers who have interest. Can any size retailer use robotic piece-picking or do you need to be a multi-billion-dollar size company? Size is not a limiting factor, by itself. Generally we are finding the most compelling use cases with customers who already have some automation, such as goods to picker. However, the payback can be positive even for one system and with no other pre-existing automation. Piece-picking automation seems to have burst on the scene recently. What's the history behind the scenes that supply chain professionals should know? Our founding team has a deep understanding of robotic grasping intelligence going back eight to 10 years with college PhD work, post doc work, a professorship, a variety of industrial experience and more under our belt. A major milestone was the DARPA challenge which our founders won back in 2014. This “heritage” contributes to our understanding of how to design the systems – software, machine learning, gripper, hardware integration. If you wake up tomorrow and want to build your own system, you have some catching up to do. RightHand Robotics launched at ProMat 2017 with our first product, so it may seem that it came out of nowhere, but it’s built on a wealth of practical experience. What we call “Hand Eye Coordination” for robots is not new, you are just seeing the results of years of effort. Robots have been picking things up on assembly lines for years, what's so different about using robots in e-commerce? The need to pick a wide range of items reliably at a high rate.